There are many piano manufacturers that produce high quality instruments the world over, but just what is it about Baldwin pianos that makes it an American favorite? It may have something to do with its roots. The Baldwin piano company began its operations in 1890, and produced its first piano, an upright model in 1891. 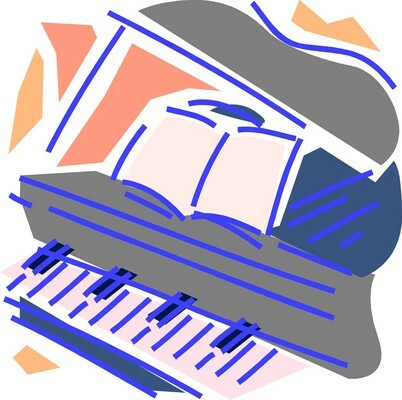 The company was started by Dwight Hamilton Baldwin, a piano teacher in Cincinnati, Ohio. Baldwin made a vow to build “the best piano that could be built,” and he started two different companies to make this happen, Baldwin piano was one of those two companies. Production began in earnest in a piano factory in Cincinnati in the early 1920’s, and like other manufacturers at the time, Baldwin piano concentrated on building player pianos. After World War II had ended, Baldwin produced its first electronic organ. At that time it changed its name to the Baldwin Piano & Organ Company, and by 1965 the company had made the city of Conway, Arkansas, the new home for its piano manufacturing factory. Today Baldwin is known for some of the finest manufactured pianos available on today’s market. Though Baldwin’s piano manufacturing operations now are mostly outside of the United States due to economic problems, Baldwin still manufactures custom pianos to order in its Trumann, Arkansas factory. Baldwin pays special attention to the way they manufacture their pianos, and different materials are used to construct a finished product. Baldwin uses seasoned hard rock maple for many of the action parts for their pianos, and their wood parts are kiln dried to remove moisture. Their piano cases are veneered using only the finest woods available for use in their cabinets including Mahogany, Cherry, Oak and Walnut. 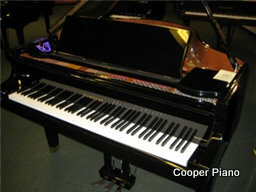 The owners of Cooper Piano have a very simple credo and that is “Build a better world through music education.” And they make this happen through the quality of the products they recommend and sell to their customers including the Baldwin BH185 grand piano and the Baldwin BD122 Vertical Piano. I recently bought a Baldwin piano from the original owner. It is a shorter console upright. Upon cleaning it I found a red inspection tag from the factory that stated “Missing spoons”. This piano has no dampers starting a the E key two octives above middle C, all the way up the rest of the keyboard. It looks to me that this piano left the original factory as a quality control rejection. Apparently the previous owner did not know the difference. It is a model 991 with serial number 780358 according to the tag. It was produced some time ago obviously. Is this something easy to remedy, and are there even the parts to do so? Would Baldwin stand behind it after all this time and make it right?